College baseball is wacky in general. Postseason baseball is super-extra wacky and extremely fickle - a bounce here, rain delay there. Sprinkle in a bad call or two and it all greatly shapes who gets to Omaha. Not to mention, which lucky/good club wins it all (see Coastal Carolina 2016). That said, it wasn't supposed to end this quickly (first weekend?!?!) for BOTH UNC and NC State. Eliminated in the wee hours of the morning, the Wolfpack lost in a third consecutive regional final. It's actually five consecutive RF losses if you include the first crack against TCU in 2015, falling at home to Coastal in '16, and both dropped in Lexington to the Wildcats. NC State's Brett Kinneman comments on the season-ending loss to Kentucky. But let's not get technical. NC State had been one of the hottest teams in the country. Walking nine, hitting two and allowing four errors proved to be too many mistakes to overcome against a powerful hitting team like Kentucky. As for the Tar Heels, they started the tournament as the NCAA's No. 2 national seed. 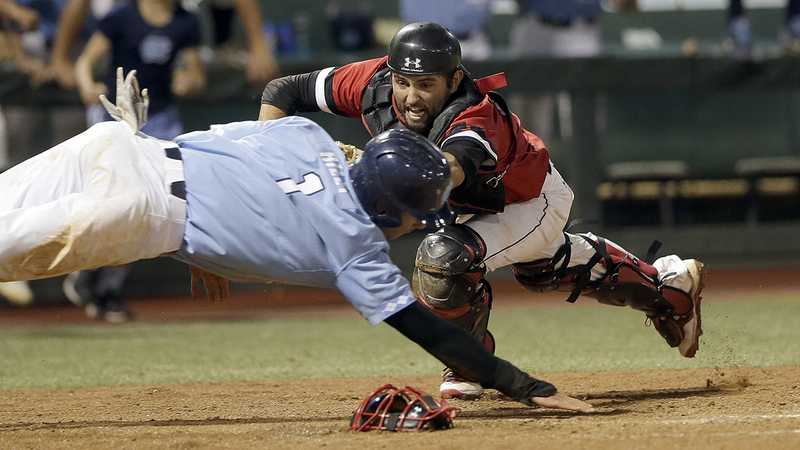 UNC baseball player Brian Miller discusses the season-ending disappointment. They won all 10 ACC series during the regular season, a school record. Then immediately lost two out of two vs. Davidson!?!? UNC baseball coach Mike Fox on the loss to Davidson. Go figure. That just isn't supposed to happen. Much less to the Wildcats, who waited 115 years to even play in the NCAA baseball tournament, never mind knocking the Tar Heels off on their own field. Carolina had a magical season ... well, regular season. Freshman pitcher Josh Hiatt was unhittable before Memorial Day weekend. Suddenly, he morphed into a human and just that quickly the baseball season around here transforms to the offseason. Watching Davidson players celebrate at the Bosh is not how UNC thought its season would end.